The reading revolution – are e-readers making books ‘cool’ again? I mean – imagine a world where nobody has a bookcase in their house? Where there are no book-shaped presents wrapped under the tree, it all seemed a bit bizarre and far too futuristic. Even to a (supposedly) technical twenty-something. And yet, since I was bought one for Christmas a week ago, I haven’t put it down. It has totally changed the way I read. It’s made reading more accessible to me, and I have struggled to figure out why? And you might think it’s because of the novelty of it, or because I’ve downloaded lots of shiny new books, and in the olden days, people would get a new book for Christmas and not be able to put it down for the days that followed either, so what’s the difference. But I know it’s something about the books being in e-reader form that has made them more accessible to me. I’ve even downloaded two books which had been sitting on my shelves for months, and almost finished reading them already in electronic form. Those same books, made out of paper, have been in my possession for ages and yet I haven’t picked them up, dusted them off and attempted to get into them. Why? 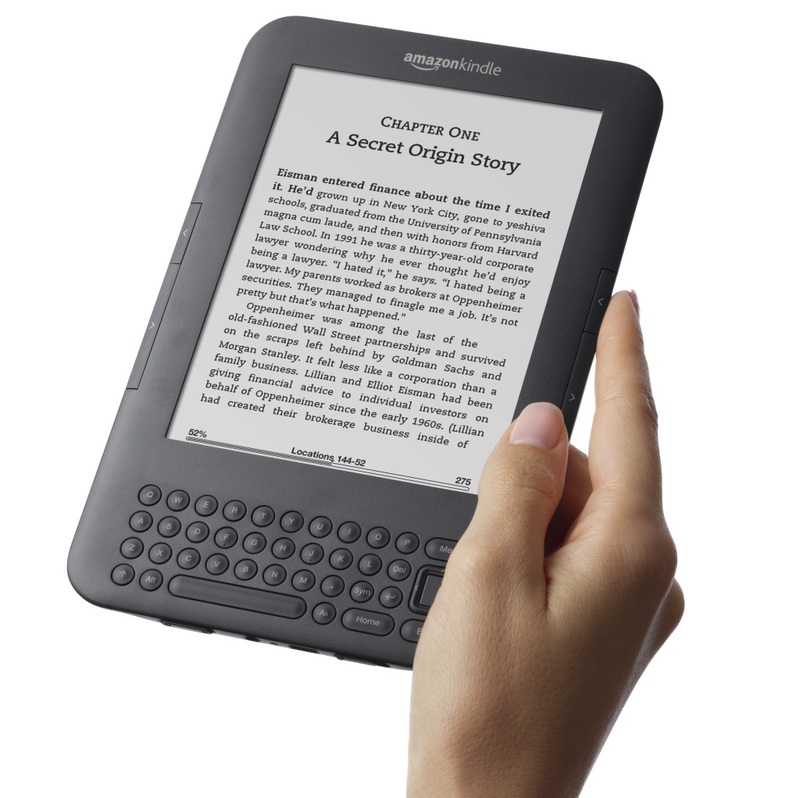 It doesn’t take any more time to pick them up off a shelf than it does to switch on a Kindle. I’d also like to point out that I am a reader. I always have been – it’s not that now we’ve been presented with a new technical device I’ve decided to get one so that I can jump on the Fifty Shades of Grey bandwagon, all whilst looking super-savvy with an e-reader case which matches my shoes. I’ve always been a book-worm and yet for some reason, whenever I’m busy, reading is the first thing to go out of the window. It seems that whenever I’m working long hours, I don’t feel like I can allow myself to sit and read. It’s too relaxing. I can find the time to sit at the computer and do more work, to clean the house, to daydream in front of some awful programme which came on after something else I was watching because I’m too tired to even pick up the remote. But not to read. There’s no time for that. This week has been no different to any other, really – I’ve still been busy, but I’ve found half an hour in between jobs to sit and read on my e-reader. I’ve read in the car (as a passenger), on the bus, in the dentist reception, in situations where I never would have got a book out of my bag because I’d have thought there wouldn’t be time. Even if I had thought I had time to get through the chapter, I’d have probably left the book at home. And I do believe its introducing people who wouldn’t normally read to books too. There wasn’t a person in my family this year who didn’t receive some kind of handheld device for Christmas – from the 6 year olds to the 66 year-olds. We’re living in a scary time in which my nephews can’t hold a conversation because they’re too engrossed in computer games – but not in books, or even TV. Could the e-reader be the answer to this problem? So, I’ve listed below the reasons why I think my e-reader has changed the way I view reading, and essentially, got me into it in a bigger way. Love them or not, with a total of 1.33 sold this Christmas alone, it seems our real bookshelves are going to be looking the same way for a long time, while our virtual ‘shelves’ fill up by the minute. I’m watching TV. Attenborough is on The Jonathan Ross Show and I think, you know what? I like the sound of that book he’s just written, in fact, I think I’ll read it in bed tonight. You can do that with an e-reader. Click, click, click, and voila! – there’s your book. In the past, I’d often contemplated getting a book a friend told me about, or I saw on a billboard, and then forgot about it or simply never got round to it. I hardly ever get time to go to the shops and I get bored waiting for Amazon deliveries. Problem solved with e-readers. They also mean you can have hundreds of books at your fingertips at any one time. I like to read a couple of books at once, perhaps fiction before bed and a celebrity autobiography to read on the bus, or vice versa. This means that when I go out however, I will only take one book with me (books are heavy!) but I might decide when my train is delayed that I actually feel like reading the other book. Damn. I left the Tulisa autobiography at home. Not a problem with e-readers. This also would have been amazing when I was a student studying English Literature and had to endure many a trip to the physiotherapist on account of carting a book for each class around in my Primark satchel which was ready to give way at any minute. Also a bonus for travelers. (Especially if you’re flying with Ryanair – light e-reader instead of 5 paperbacks = lots more weight allowance for clothes! No more going through customs wearing 4 outfits at once). Reading in bed – comfortable, and noise-free! This one might sound silly, and it depends totally on which e-reader you have but, mine is lighter and nicer to hold than a book. And it doesn’t make a noise when you switch pages. And it has an eye-friendly light on it, so I don’t have to wake up sleeping partner with ‘big light on. And it remembers which page I was up to, even if I’m reading a few books at a time. No more lost bookmarks! I of course only read sophisticated novels. However, if you did want to read Justin Bieber’s autobiography or a raunchy novel, you don’t have to shove the front cover in everyone’s face. I have however read Fifty Shades over people’s shoulders on buses many a time. Some people hold their devices way higher than what is necessary.